Attorney Jordan Lorence, explaining why he will appeal to the New Mexico Supreme Court a ruling that his clients, a Christian couple who own a photography business in New Mexico, were guilty of violating the rights of a lesbian couple by declining to handle their same-gender “commitment ceremony.” In 2006, Elane Photography of Albuquerque politely refused to photograph the ceremony — prompting a complaint to the New Mexico Human Rights Commission that business owners Elaine and Jon Huguenin discriminated based on sexual orientation. 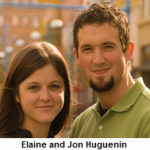 After a one-day trial, the Commission ordered in April 2008 that the Huguenins pay more than $6,000 in costs. Lorence goes on to say that because the constitution prohibits the state from forcing unwilling artists to promote a message they disagree with, ADF will appeal the decision to the New Mexico Supreme Court. New Mexico recognizes neither same-gender “marriages” nor civil unions.